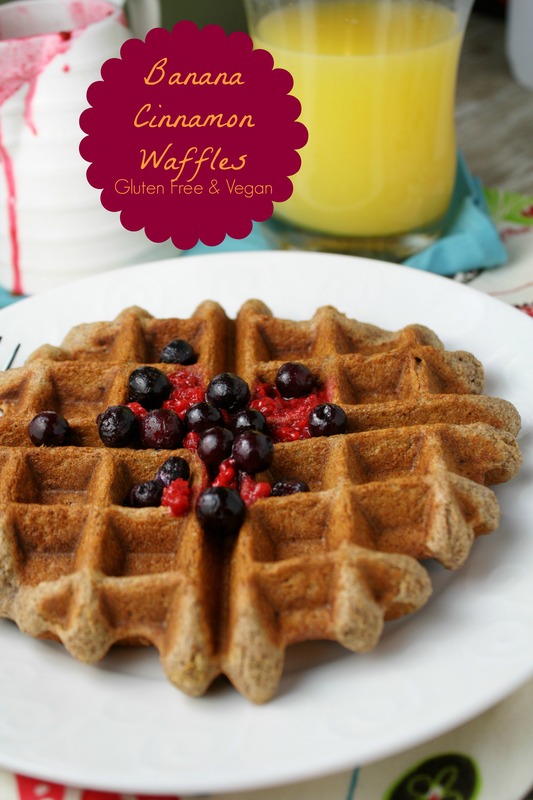 Gluten free vegan waffles to start your morning out right! 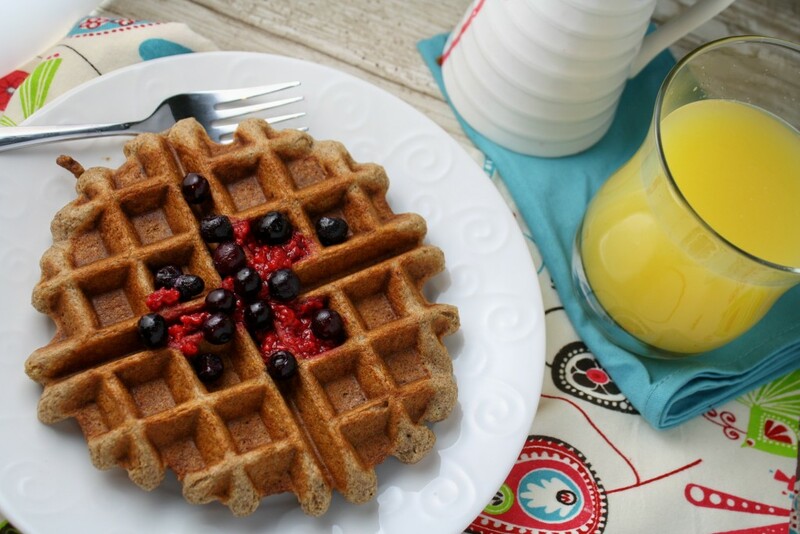 With wholesome ingredients, these waffles will make a healthy breakfast to send the kids off to school! 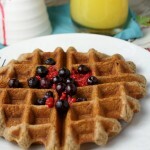 Crispy waffles with wholegrains and no allergens! These are a snap to whip together, and lets be honest here…who can’t use another waffle recipe under their belt?! I make them so often for the kids that I need to keep changing things up to keep it interesting for ME! Don’t forget that leftover waffles make great toaster waffles for busy mornings! Sore servings on the counter for a couple of days, or in the freezer for whenever you want! Gluten free waffles can also be used as a fun replacement for bread in lunchboxes (PB&J’s anyone?). I moved away from my Belgian waffle maker (too thick!) and now own this waffle maker and love it! You might like this served with my Low Sugar Pancake Topping! Some More Nourishing Breakfast Ideas! In a liquid measuring cup (enables for quick and easy pouring of the batter), puree all the liquid ingredients through the oil using an immersion blender, set aside. Alternately, you could whir the ingredients in a blender or mix vigorously by hand. Gather your dry ingredients and sprinkle in over the top, in order. Using a whisk lightly mix the dry ingredients before stirring the whole mixture together. Batter should be pourable, so add more liquid of choice if necessary. Pour batter into a preheated waffle iron and cook until crispy and golden! thanks for sharing with Hearth and soul blog hop, pinning. Those look amazing! I love the addition of cinnamon to banana waffles – yum! Thanks for sharing at Waste Not Want, Want Not Wednesday! 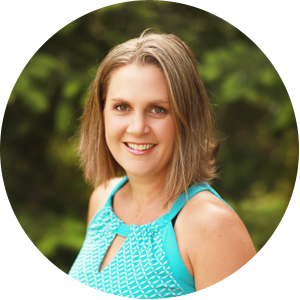 Elise @frugalfarmwife.com recently posted…How To Get Free Produce – For Real! These look so good, Tessa. Thanks for sharing them at GF Wednesdays. I’ve pinned and added them to my Buffer! These are tasty and very filling. I cook them regularly. Thanks! Thanks Tatyana! I am so glad you like them, and I really appreciate your feedback! We LOVE these waffles however it’s a battle each time since they stick to the waffle maker. Is there a trick to it? I tried adding more oil to the batter, oiling the waffle maker… nothing seems to resolve the issue. Hi Tessa, nice to meet you 🙂 Thanks for joining us for meatless monday. Will you bring us another delicious recipe next monday please? This sounds looooovely! Making me think I really need to put a waffle maker on my registry….I took it off, but waffles like this sound SO good! Thanks for your recipes–you are awesome!! I forgot to specify gluten free oats Heidi, thanks for catching me on that! The protein in oats is almost identical to gluten, which is why many people still have issues with them: their immune system can not distinguish the oat protein as different than gluten and launches an immune response as if it WERE gluten. We have taken oats out of our diet in the last 4 months to test my kids sensitivity….fingers crossed as we LOVE oat flour AND oatmeal!! So no oat flour used in these as of late! These work as awesome pancakes too! I decided to push the “easy” button for dinner and make breakfast. There were zero leftovers for the freezer and the kids were raving about these. Must be the cinnamon? Thanks, Tess! I’ve made these twice now and they are wonderful. Everyone loved these! Thanks for another great recipe. This looks yummy! We are GF and I use a LOT of bananas in muffins and such! Thanks for sharing with us at Eco-Kids Tuesday!! Hope to see you again next week! I love how the bananas provide the sweetness in these gorgeous waffles. They look and sound delicious. Omg, these turned out so well. What fun, I loved the color and the texture. I left them in the waffle maker extra time so they were nice and crispy and perfect. Thanks for the new recipe! thank you for stopping by to let me know how they turned out Gina! So glad you enjoyed them! These sound so good! I really like the banana in them too. It’s great how allergy friendly they are. I also like the idea of using them for sandwiches in lunch boxes too! I just love the combination of ingredients for this wonderful waffle and it looks beautiful! Hope you are having a great week end and thank you so much for sharing with Full Plate Thursday. CONGRATULATIONS!! !Your recipe is being featured today on Menu and Party Idea Round Up! http://www.ladybehindthecurtain.com/?p=27978 Please go grab a button! http://www.ladybehindthecurtain.com/?page_id=1844 Thanks for sharing your recipe with us at Cast Party Wednesday #37! I love that these have no traditional flour yet are simple and easy to put together. I look forward to trying them and thank you for sharing at Whole Food Wednesdays. This sounds really good. Love waffles. Love waffles! These look so good! Thanks so much for sharing this recipe at Scrumptious Sunday. I am looking forward to seein what you share next week! I really wanted these to work because they are so easy to throw together but sadly mine stuck so badly to the waffle machine. My kids loved the flavour though. I think i will try these as pancakes next time. The only difference i did in this recipe was make up the quantity of teff (which i didnt have) with a mix of buckwheat, brown rice and Sorghum. Could this have made them stick? you know, I have had some issues with buckwheat waffles sticking too….that is my best guess if you’ve never had issues with your waffle iron before, you greased it i assume? Thank you Jolene, how very king of you, I am honored! HUGE waffle fan here and these look fabulous! I usually do include mashed bananas in my waffle batter, but your flours/meals are totally new to me. I love the mix and can’t wait to try them out! Great waffles! MJ, even if I could have gluten again…I would still use these flours, I am THAT in love with them, so worth checking out, and super nutritious to boot! Can I come over for breakfast please! The daddies can take the kids to the park while we eat and dream up some recipes together! And maybe sip a on a little Mimosa! These look amazing Tessa. I need to buy a new waffle iron STAT! by the way, you could make these as pancakes too, just add a bit more liquid!